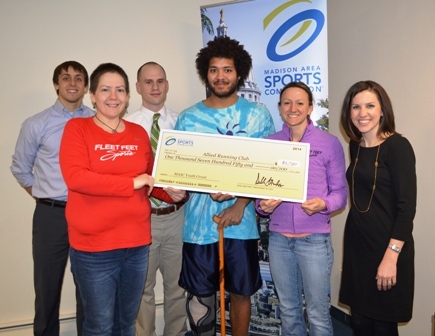 We are pleased to announce that Fleet Feet Sports Madison was recently awarded $1750 in grant money from the Madison Area Sports Commission as part of the $30,000 in funding of its bi-annual disbursement of youth grant funds. This money will go toward providing equipment for participants in Fleet Feet Madison's Summer Allied Running Club. Read more about this great program and consider volunteering with us this summer.